The whole thing's a mess and only one person can sort it out. Sadly, we have no idea who. Join Britain's leading political comedian, Matt Forde, for his last show as an EU citizen. 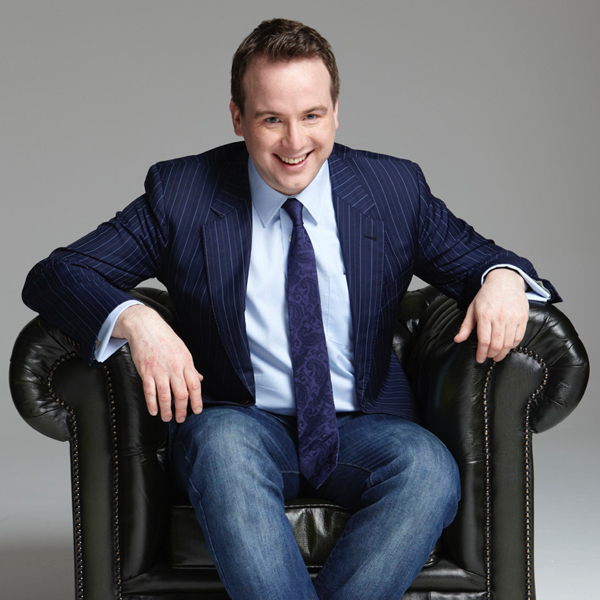 Matt Forde is one of the country’s most in-demand satirists, and host of Dave’s ultra-topical political comedy show Unspun with Matt Forde which is now in its fourth series. Matt recently took over as the new host of Rock n Roll Football on Absolute Radio on Saturday afternoons. He has previously appeared on The Royal Variety Performance 2015 (ITV), Have I Got News For You (BBC One), Rory Bremner’s Coalition and Election Reports (both BBC Two), Mock the Week (BBC2 Two), 8 out of 10 Cats (Channel 4), Celebrity 15-to-1 (Channel 4), Celebrity Pointless (BBC1), Question Time (BBC One), This Week (BBC One) and Russell Howard’s Good News (BBC Three) and Channel 4’s Jon Richardson Grows Up. In the lead up to 2017’s snap election, Matt also presented a regular segment on The One Show commenting on the highlights of the campaign trail. “A hugely impressive hour of political comedy... it keeps hitting the spot”...Chortle.co.uk. “Possibly the best political comedy show on the Fringe”...Telegraph. “Singlehandedly fulfilling comedy's brief of taking our political masters to task. Combining spot-on impressions with up-to-the-minute observations”...Mail on Sunday.